Fuel efficiency is India’s primary driving factor. Most of the customers look for fuel efficiency before anything else while deciding upon a motorcycle. Many manufacturers have updated their portfolio with the BS-IV norms due to which the specifications were affected slightly. We bring you the top 5 best mileage bikes in India to help you choose your next motorcycle. The fuel efficiency (mileage) figures are claimed by the manufacturers, and the real world mileage figures may differ slightly due to riding conditions and the riding style of the user. The Splendor is the largest selling bike in India. The iSmart is the new variant launched by Hero that provides unbelievable one of best mileage bikes, thanks to one of its kind technology. The i3s technology used by Hero MotoCorp is the Start Stop System that is used by many cars in India. Such systems are also very usual in high-end cars, but it is the first time that a manufacturer has used such a technology in motorcycles in India. The i3S switches off the motorcycle when the motorcycle halts for a few seconds and then automatically restarts it when the clutch is engaged. The motorcycle is powered by a single-cylinder 97.2 cc engine. It returns a maximum efficiency of 102.5 km/l. The Bajaj CT 100 was launched in 2015, and it was Bajaj’s affordable option to take on the commuter segment in India. It is Bajaj’s one of the most successful models in India. The CT 100 is a basic motorcycle and does not come with Bajaj’s revolutionary DTS-i technology. 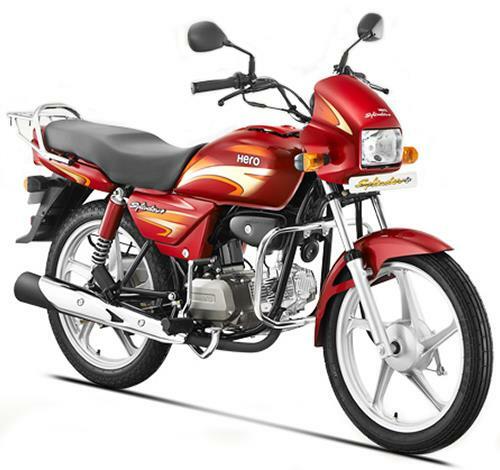 The CT100 is powered by 99.2cc, single-cylinder engine and is one of the cheapest best mileage bike in India. Bajaj also launched a round headlight version of the motorcycle that is cheaper by Rs. 4,000. 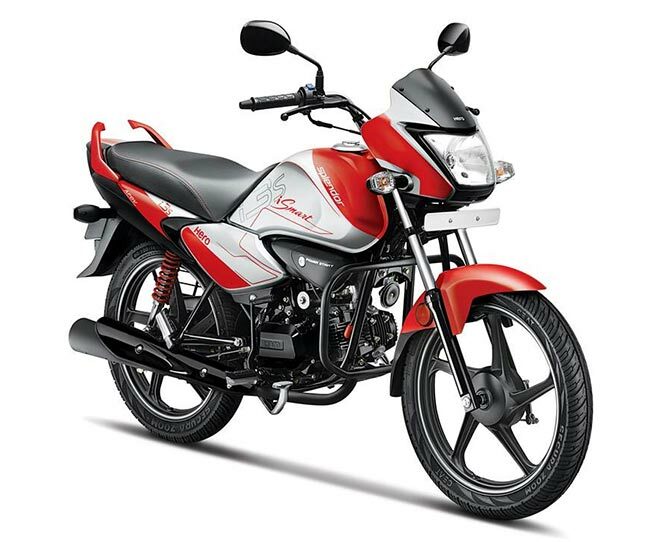 The Platina is the bestseller of Bajaj when it comes to the highly efficient motorcycles(best mileage bikes). It is little more powerful than the entry level Bajaj CT 100. The motorcycle is powered by an air-cooled engine that features the Bajaj’s DTS-i twin spark technology that increases the fuel efficiency. The Platina comes with a standard electric start, making it the choice of many. The motorcycle also gets “ComfortTec” system that Bajaj claims to make the motorcycle more comfortable than the rivals. The Platina comes with dual-spring SNS (spring-in-spring) rear suspension that has 22% more travel than the competition. The front suspension also has a 28% more travel than the rivals. The Platina is made keeping the Indian roads in mind, and it even gets 190mm of ground clearance, the highest in the segment. TVS updated the Sport last year with a few minor upgrades. The entry-level commuter segment motorcycle also received a revision in fuel efficiency, and it now delivers 95 km/l. The TVS bike also gets the electric start as standard. There are aluminum grab rails, a chrome muffler guard, and a new instrument cluster. The Sport is powered by TVS ‘DuraLife’ engine that reduces the friction in the engine components and provides improved fuel efficiency(one of 'best mileage bike in India' till now). JD Power APPEAL Study 2015 ranked the motorcycle number 1 among the economy segment motorcycles in 2015. The Sport features 130mm drum brakes, which are best in the segment and it facilitates to better braking. The Splendor is the most popular name in the world of efficient bikes. The model has remained on the top of the sales chart since its introduction almost two decades back. The bike is powered by a 97.2cc engine that produces 8.36 Bhp and 8.05 Nm of torque. The Splendor range is known for its exceptional value for money, reliability and one the of "best mileage bikes in India".